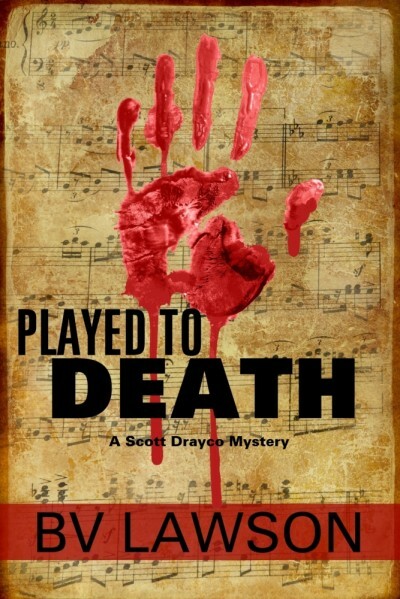 The first in a new series featuring “consultant criminologist” Scott Drayco, once a child-prodigy whose hopes of a great career as a concert pianist were dashed when his right arm was crushed by a car door during a car-jacking incident. Now he is ex-FBI and working on his own. A grateful client has left him the old Opera House in a run-down west-coast resort named Cape Unity. A white elephant, he assumes, but as he makes plans to visit the place and see about selling the Opera House he receives a request to act on behalf of a certain Oakley Keys, who lives right there in Cape Unity. They arrange to meet at the Opera House to discuss Oakley Keys’ problem. When Drayco arrives, Keys is already there, lying on the stage, dead. Murdered and mutilated. There is a good mix of characters, all the various types you would expect to find in such a setting plus some you wouldn’t, and it is so well-plotted that I for one did not know whodunit till the very end. All right, it is a bit slow and chatty at times, but there are patches of very fine writing, and I would definitely recommend it to all who enjoy a small-town murder mystery with a visiting private eye who has to cope with the all-too-predictable small-town xenophobia.